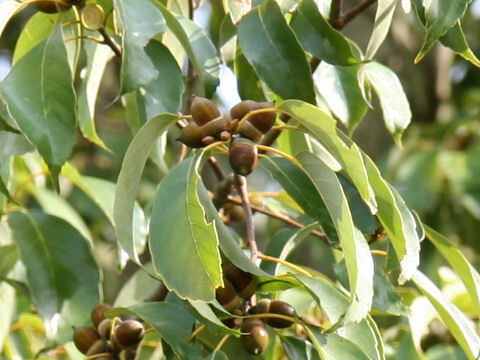 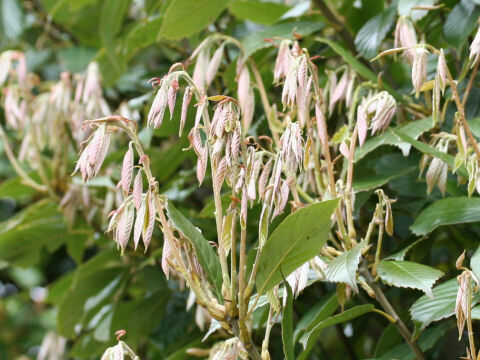 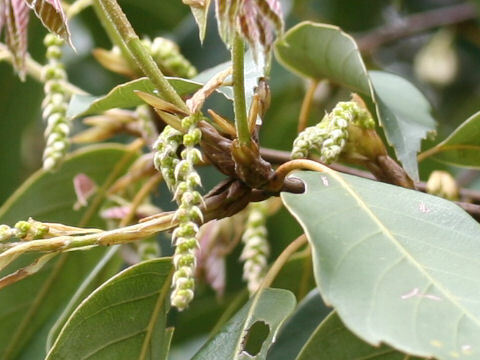 "Ara-kashi" (Quercus glauca) belongs to the Fagaceae (the Beech family). 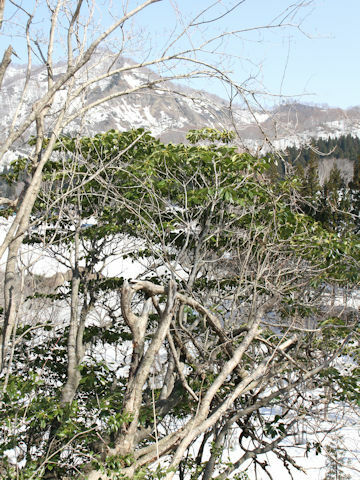 It is a tall evergreen tree that is distributed from Miyagi-Ishikawa Prefecture of Honshu south to Shikoku and Kyushu, as well as China and the Indo-China Peninsula. 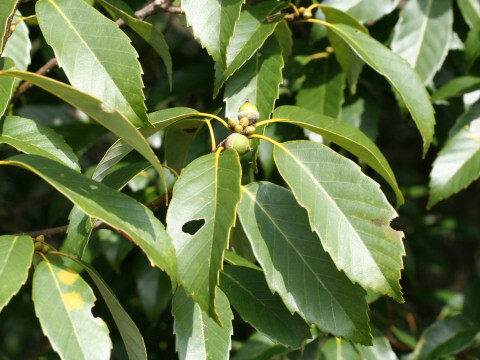 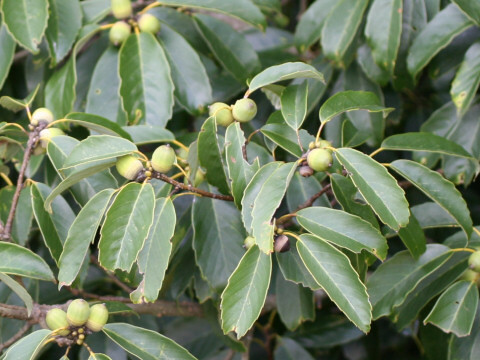 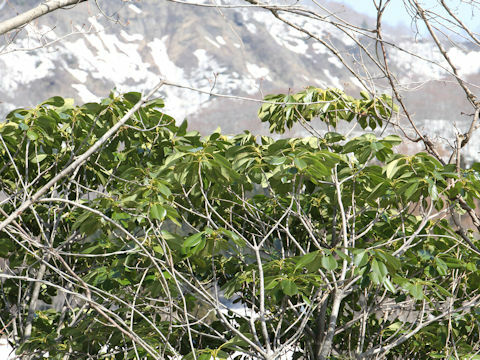 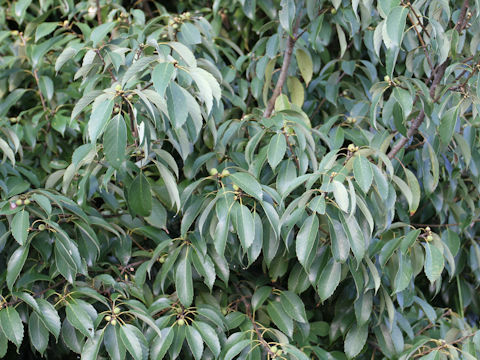 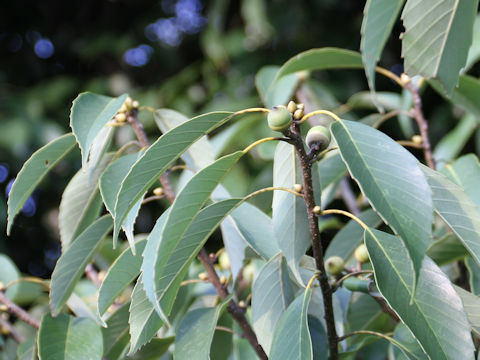 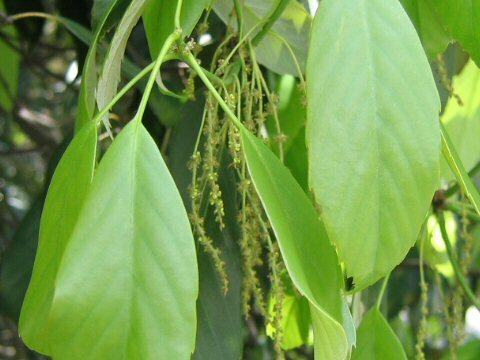 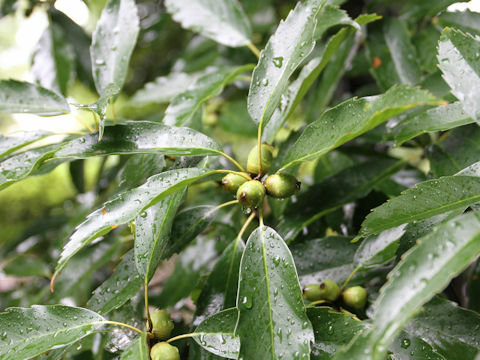 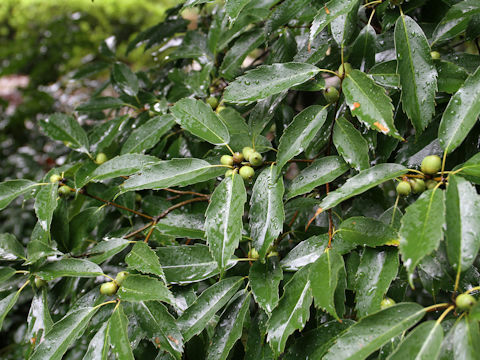 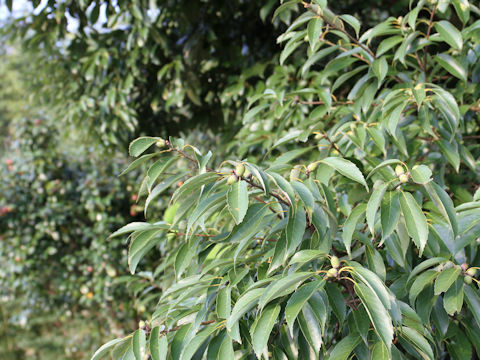 This tree grows in scrublands of mountains and fields, and up to a height of about 20 m. The leaves are obovate-oblong with large toothed edges at upper-half of leaf blades. 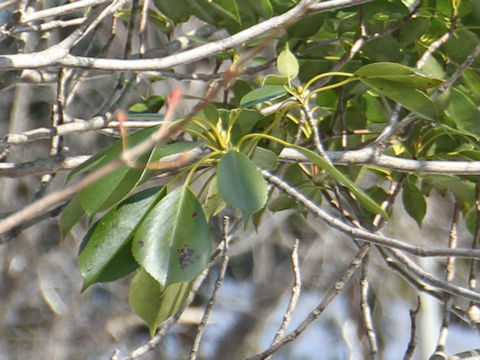 The male clusters are descending at lower-half of new branches and the female clusters stand upright at the top, from April to May. 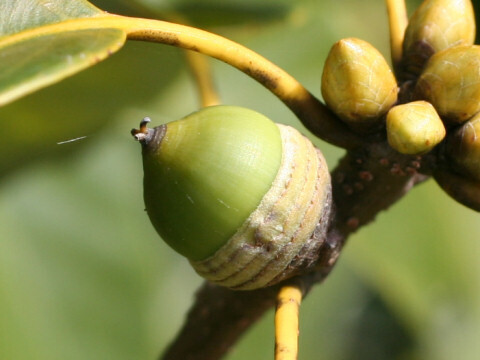 The cupules have 6-7 circular layers. 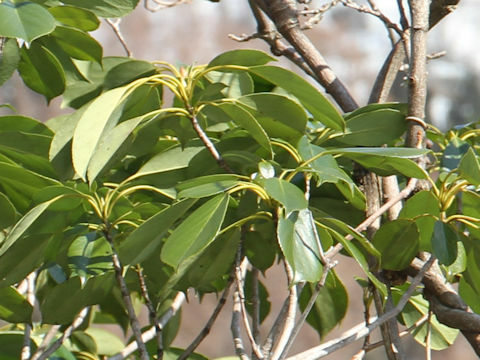 This timber is hard and used for making handles of farm implement.